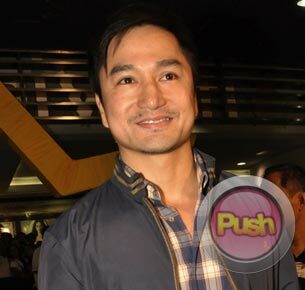 There was no question about DJ Durano being part of the remake of Mula Sa Puso despite Eula Valdez’s initial refusal to work with him. As it is, director Wenn Deramas refused to put up with Eula and her manager Ricky Gallardo’s demand, especially in light of the fact that she got the role of Celina (originally portrayed by Princess Punzalan) because of him. But after all has been said and done, Eula and Direk Wenn refused to tackle the issue during the cast pictorial of Mula Sa Puso at the ABS-CBN compound last Tuesday, March 1. DJ on the other hand had no qualms about saying his piece once more, adding that he already made peace with Eula about it. “All’s well that ends well. I honestly don’t have any sama ng loob kung kanino man, kay Eula man or kay Ricky. Alam ko he has his own reasons. And maybe, may mga rason tayo kung bakit nila ginawa yun. And ang sa akin naman e gusto ko lang magtrabaho. Kung ano man yung usaping ganong bagay, iiwan ko na sa mga manager kasi ang trabaho ko lang naman ay umarte,” said DJ in an interview with Push.com.ph and other ABS-CBN entertainment reporters.